Nuccia asked me if Tiramisù is an aphrodisiac. I've heard so! I've been trying to find a good video in English to show how Tiramisù had to be prepared. Well, all videos show recipes of a dessert which is everything but not Tiramisù. First thing: Tiramisù does not need Zabaglione for the cream as this will change completely the taste and add another bit of calories ; second thing: the egg whites are not part of the ingredients; third: coffe must be cold otherwise it will melt the cream so prepare it before. Last thing: you get a better result if you prepare the Tiramisù one day before or at least a few hours before serving it. You must keep it in the fridge in the meantime. I found a good recipe written in English but the video, unfortunately, is in Italian (click on Videos). If you are patient enough (they talk a lot) you will see the preparation and also, towards the end, the cook gives a variation as he is not using Savoiardi biscuits (lady fingers) but sponge cake, just in case you prefer that solution. The recipe is for 12 servings!! Who thought it was for 2? Sorry for the loooong explanation. Thanks for the recipe and video Ada. Does the chef use more than one layer of lady fingers in the first part of the video or he only layers the bottom of the bowl? Also, is the coffee american coffee or a stronger version of american coffee? Probably a dumb question but I'd like to give this a try. Its the black espresso coffee..not the brown kind we drink here, with milk. It looked like he layered just once. But one minute you could see them placed, and the next, they seemed trimmed to perfectly round. It didnt show him trimming anything, tho (and man could these two talk). two layers of lady fingers and of course a lot of cream in between. If you cannot find Mascarpone cheese I think I read somewhere that double cream cheese is similar (but I've no idea of what it is). The decoration all around the Tiramisù is not necessary it's only coreographic. Actually, the coffee it's Italian coffee. I'm not very found of coffee (unusual for an Italian) so I don't really know what's the difference with American coffee, sorry. I suppose a stronger version of American coffee would do. Yes, they probably cut the part when he was laying the lady fingers. It's probably going to complicate things if you have to trim so make it square. There is nothing wrong with raw eggs, many creams, sauces or dressing are made with raw eggs and sugar or salt. What do you think is mayonnaise made with? Probably the industrialized version just saw eggs in pictures. I make mayonnaise myself as it's much more natural then the one you find in shops, full of colouring stuff, thickners and preservatives. I usually decide if something is good or bad after I have tasted it. No it isnt because of the unsafety, its because I dont like raw egg. Its probably a mental thing with me. When I was a kid, my sicilian grandmother used to take me to a local soda fountain in the bronx to get a malted (you dont see those around anymore the soda fountain and old fashioned malteds). She would sit me on a stool, then go all the way down to the opening that the workers walked thru and talk to the man there. What I didnt know, until I caught her, was she was slipping the guy an egg..to put in the malted. The day I saw that..was the last malted milk I had at that place when grandma took me there..lol I was probably about only 7-8 years old then, but I still remember it. Thanks Ada, I think I'll give it a try this weekend or next weekend. Looks pretty simple so hopefully I won't mess it up!!! I'll let you know how it goes. Billie you should have no trouble buying espresso or marscapone cheese there. I can get both here with no problem. As for the egg thing..my mom used to drink a raw egg every morning (I remember that) and while I couldn't eat it by itself, I don't think I would notice it mixed. Eleven, honestly, if you have never tried tiramisu then you are missing out on something very special so try it once and then let us know (after you come back from the gym). Ada, do you really make your own mayonnaise? We love mayo here but of course with my husband health issues I have to be careful about serving a lot of things but once it a while I wouldn't mind giving him something he craves (as a treat) and I would feel so much better if it was home made. Can you post a recipe, please? Did you ever see them crack an egg in wine and drink it? No, I can't say that I have! A taste wouldn't be enough! In my opinion there is a difference between raw eggs (includind the white part) and raw yolks. I don't like raw white but I'll probably don't notice if it's beaten and mixed. Yolks beaten with sugar are a nutrient and healthy snack for children instead of industrialised products. Italian farmers in the past used to drink raw eggs. They were working hard in the countryside, eggs were giving them enough energy and didn't need any cooking, very quick and simple. Of course there is no accounting for tastes! I lived in several regions in Italy and various countries in the world. I would have starved if I'd known what was in my dish on some occasions and it wasn't a problem of understanding as I can manage with several languages...When you are hungry everything becomes delicious! I prepare mayonnaise in 10 minutes, it's easy. I'll post a recipe later on. My mom used to say the same thing about eggs and I think, in spite of all the talk about how high egg yolks are in cholesterol, served in moderation and correctly are a good thing. As you say, its all about the processing of foods now, Our ancestors raised their own chickens, no steroids and the eggs were eaten fresh. I remember the first time I went to Italy and I asked for a glass of milk and I got fresh goats milk! My brother and sister refused to even look at it but I tried it and although I prefer my milk cold, it wasn't bad. I would much rather eat that then caviar! No that's just awful (or I just don't have any class, not sure which)! Ok, thanks Ada. I can't wait for the recipe! ... 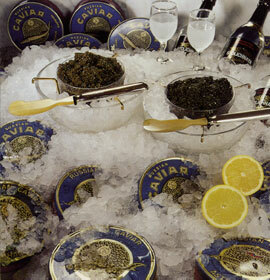 I would much rather eat that then caviar! No that's just awful (or I just don't have any class, not sure which)! I had the chance, unfortunately only a couple of times, to have dinner were only caviar and vodka were served. It was GREAT!! !